Sego is another type of metalic headwrap that comes in a two set piece. It is also known as gele. The diference between the traditional gele and the sego is that the sego is much narrow and comes in a set for the headwrap and another set used as a shawl. Shop our top quality sego headtie. It is the latest headtie in vogue. 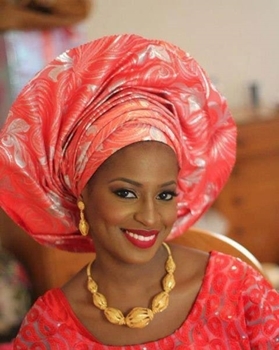 You will sure look like an African queen with the beautiful adorning your outfit. No one else in the world wears it better like a beautiful African queen. Show our culture with pride. Rock your sego in style!